How much is Jake Mauer Worth? Jake Mauer net worth: Jake Mauer is an American baseball player and coach who has a net worth of $1 million. Jake Mauer was born in St. Paul, Minnesota in December 1978. He is the brother of Joe Mauer and the cousin of NBA referee Ken Mauer. Jake Mauer was an infielder who batted and threw right handed. He played for the University of St. Thomas and set a season record with 83 hits. He also set school records for hits with 243, runs with 181, and games with 187. In 2007 he was inducted into the St. Thomas Athletic Hall of Fame. 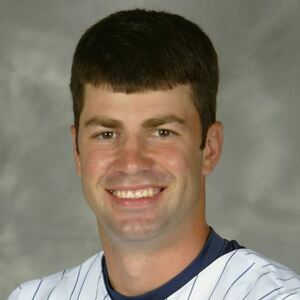 Jake Mauer was drafted #677 overall by the Minnesota Twins in the 2001 Major League Baseball Draft. His brother Joe was selected #1 overall in the same draft. Jake Mauer played for five seasons in the Twins' minor league system and retired in 2005 from an elbow injury. He has managed the Gulf Coast League Twins, the Fort Myers Miracle, the Cedar Rapids Kernels, and the Chattanooga Lookouts.